It doesn’t matter if you are at home or away camping, coming into contact with Poison Ivy can have some drastic consequences. Learning how to deal with this can save any family member from unbearable itching, and at worst an allergic reaction. Here we will look at what you need to know of how to deal with it when it has been touched and also how to get rid of it. What Does Poison Ivy Do? 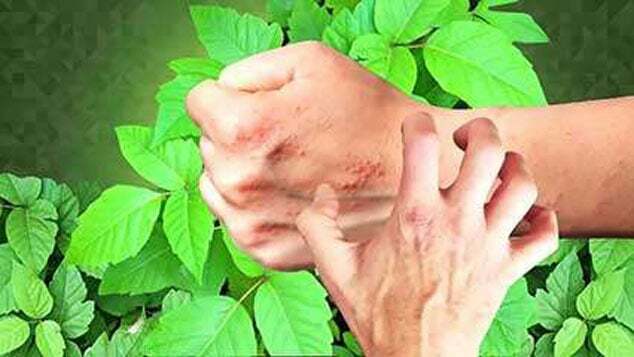 Seven people in ten can have an allergic reaction to “urushiol” which is the main chemical in Poison Ivy. This chemical is what causes the blazing red sores and the itching. Experts have calculated that it only takes one-billionth of a gram to cause a rash. If this wasn’t bad enough, it could stay on surfaces for up to five years. If you are a camper, and your tent comes into contact with poison ivy. This could affect anyone who touches that area for years to come. It is for this reason, any camping guide should highlight the facts about poison ivy. There are things you can do to quickly stop the itching and help remove this toxin as we will show. This plant is found mainly east of the Rocky Mountains. There is an old saying which helps to remember what the plant looks like. This is a useful guide because it shows a plant with three which are clumped together, three leaflets joined together on a stem might be poisonous, and you should avoid them. After this, Poison Ivy can be hard to distinguish. What does poison oak look like? It can change throughout the seasons. It can be rough, smooth, jagged edges or wavy so in attempting to describe it can be difficult. It is easier to describe its appearance in the seasons. Poison Ivy can also be a climbing plant which makes use of structures around the yard or vines its way up trees if you see it when camping. Just to be entirely confusing, it can be a shrub or grow across the ground. If you or a family member have come into contact with poison ivy, it is crucial to treat the area as quick as possible. 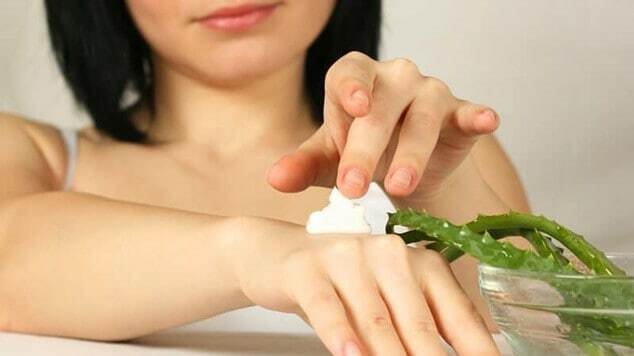 If you are thinking of going camping, your camping for beginner’s checklist should contain calamine lotion which can dry up blisters and gives a cooling effect which stops itching. Rubbing alcohol should also be included on your camping list because it can help prevent the poison from spreading. You can apply this directly to the affected area and washed off after three minutes. 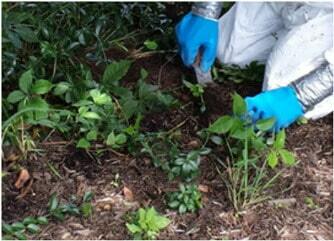 Here are examples of everyday items which can help reduce the effects of poison ivy. They might not all work, but as soon as you have washed the infected areas with soap and water, you can try on and see if they work. Oat Meal – blend 2 cups of oatmeal into a fine powder and add to a warm water filled tub. Soak for 20 minutes. Epsom salts – add 2 cups to a warm water filled tub and soak for 20 minutes. 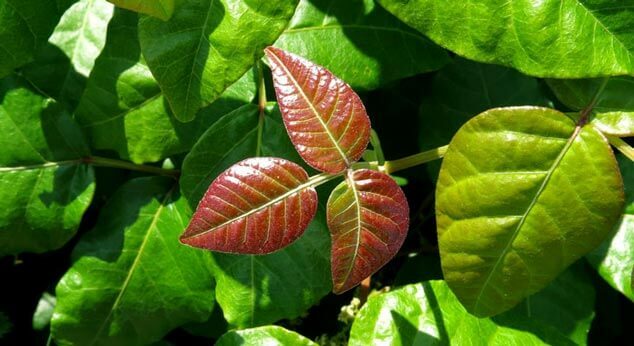 If you have this plant in your garden and you need the quickest way to get rid of poison ivy, there are a couple of methods you can use. It should be noted you need to wear gloves and be careful. Poison ivy will grow back if you don’t deal with it correctly. Chemical weed killers can be used, but these can affect other plants in the area, and if you are out camping these would be of no use. One of the quickest ways to get rid of poison ivy if you are out camping is to pour boiling hot water over the plant. This can make it wilt and die, or should it be boiled alive, and for a plant like Poison Ivy, that’s what it deserves.